The spot starts dramatically with a 30-something-year-old man explaining, "Before it became a medicine, it was an idea, an inspiration, a wild what-if." The scene duly set, the ad goes on to tell the story of the scientists at Pfizer who discovered, fought for, and brought to market the pill he had just shaken into his hand. "It became a medicine so someone who could not be cured could be — me," he adds, swinging his son into his arms. This Pfizer ad, Driven to Discover the Cure, is one of several recent campaigns that seek to reinforce the idea that years of hard work — and heart — go into the development of new medicines. The campaigns present an image of the industry that clashes with the prevalent one — big bad pharma reaping profits hand over fist at the expense of a sick and underinformed public. "Research showed us there is a gap in understanding around what it takes to discover and launch new treatments for patients," Pfizer spokeswoman Neha Wadhwa said in an email. "In this campaign, we are sharing more about who we are and how we innovate through the stories of Pfizer science and scientists." Under sustained scrutiny in Washington, DC, and among the public for its pricing practices, the drug industry is moving to defend its battered image by promoting the value of the innovation it provides. It’s significant in that it marks perhaps the first time since the early 1960s — when Congress passed laws requiring evidence not only of safety, but also of efficacy, and the FDA gained the power to regulate labeling and advertising — the word "cure" has cropped up with such frequency in ad copy. "Today, drugmakers do a lot better job of telling their story, of linking what they do to cures, to patients, to outcomes, to being committed in a public way to solving this critical issue," explains Keith Yazmir, partner and managing director, EMEA, for Omnicom Group’s Maslansky + Partners. The debate about how drugs are priced in the U.S. has been churning for the better part of a decade. However, only in the past two years has that debate blown up into an issue covered by mainstream media on a near-daily basis. It was Valeant Pharmaceuticals that pushed the issue out of the medical profession and onto the national stage. The Wall Street darling hiked the price of two heart drugs by 525% and 212%, a decision that led to congressional inquiries, the resignation of its CEO, and the dismantling of a specialty pharmacy network now under government investigation. Then came "pharma bro" Martin Shkreli, former CEO of Turing Pharmaceuticals and now the most famous of the legal drug villains. He was behind the decision to raise the price of a toxoplasmosis drug, used by about 3,000 patients a year, by 5,000%; soon thereafter he was hauled before Congress (where he invoked the Fifth Amendment), fired, and charged by the Securities and Exchange Commission for unrelated allegations. And now there’s Mylan, which raised the price of its EpiPen allergy auto-injector by 574% in the past decade and offered to sell a generic version of its own product rather than lower the price. Many CEOs of other pharmaceutical companies have sought to distance themselves and their businesses from such practices. They point to the billions of dollars they spend on R&D and the strategies they’ve put in place to ensure responsible pricing practices. Alas, that hasn’t done much to stem the criticism. Meanwhile, consulting firm BDO found that 89% of publicly traded life-sciences companies describe pressure on drug pricing as a considerable risk to their businesses. As for the new campaigns, many focus on the parallel ideas of innovation and cures, despite the fact only a single class of drugs approved by the FDA in the last five years — a class led by Gilead Sciences’ hepatitis-C drug Sovaldi — is considered a cure for a disease or condition. One of the latest campaigns to throw around the "c" word is an effort launched in early September by the Biotechnology Industry Organization, a trade group that lobbies on behalf of biotechnology firms. 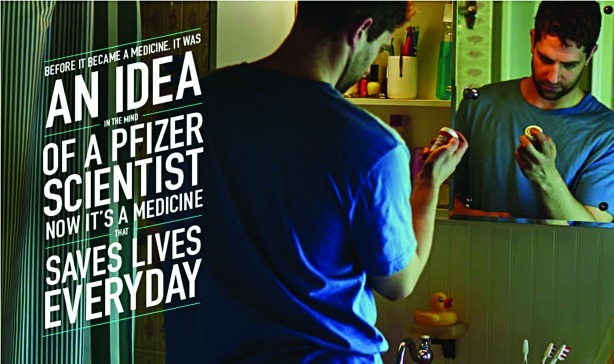 BIO’s ads emphasize that innovation in drug development has led to improvements in care and the creation of cures. "Advances in biopharmaceutical medicines help lessen the need for hospital stays," the campaign’s narrator says. "They are reducing the need for surgeries and for many they are delivering cures." But critics — among others, health insurers, hospital systems, pharmacy benefit managers, patient groups, and lawmakers — still believe new drugs are coming to market with excessively high price tags and the prices of old drugs are being marked up too much. Drugmakers counter they need the money they make from their therapies to reinvest in R&D. Then there’s the problem of the U.S. health system itself, which might generously be described as convoluted. Recent immuno-oncology cancer treatments are changing the long-accepted method of treating cancer with radiation and chemotherapy and invoking complex science to do so. To get patients and doctors to use these drugs, pharma companies need to spend money explaining how and why they work. 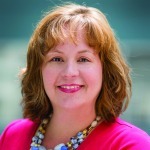 "We spent a lot of time thinking about how people who aren’t from the pharma industry can relate to and understand how immuno-oncology works," explains Carrie Fernandez, head of U.S. comms for Bristol-Myers Squibb. "For example, on our I-O discovery website, there’s a graphic comparing a garden to immuno-oncology. We’re trying to break it down in a way that people can get the aha moment in their head without having to understand a Kaplan–Meier curve." Fernandez notes Bristol-Myers Squibb is working with advocacy organizations including Stand Up To Cancer to reach and educate patients. Those partnerships go along with the digital campaign, Ready. Raise. Rise. New drugs, such as immunotherapy and hepatitis-C treatments, are often criticized for being wildly expensive. But Spectrum Science Communications president Jonathan Wilson says companies need to remind patients of the value first. "A drug may cost a lot of money in the short term, but you have to think about the value these medicines bring over a lifetime," he explains. "People forget that. Take hepatitis C. We have drugs that are basically offering a cure for this disease. Of course, they’re incredibly expensive now, but you think about the lifetime value of curing hepatitis C and that’s huge to society." "Underlying all of this is a sense that healthcare is an uncomfortable thing to put a price on," Yazmir explains. "We are not Europe or Canada. That said, healthcare does seem more of a right than a transactional product. We have an expectation around healthcare that it will somehow be taken care of." This may be why some drugmakers and their lobbying groups are focused less on reactive responses to pricing flare-ups and more on telling in-depth stories about their people and patients. "We’ve seen the conversation continue to focus on cost," notes Holly Campbell, a spokesperson for PhRMA, an industry lobbying group. "Patients need to be at the center." 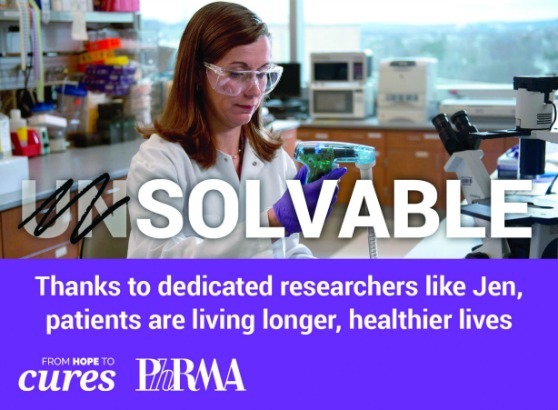 PhRMA’s From Hope to Cures campaign launched in 2014, but the multimillion-dollar effort introduced new elements in 2015 and again in August this year. Companies big and small have followed suit: Mallinckrodt, which markets specialty products such as the $35,000-per-dose MS drug Acthar, debuted an unbranded video campaign with a modest media buy that shares stories about patients, two of whom are the children of Mallinckrodt employees. On the other hand, Bristol-Myers Squibb’s direct-to-consumer ad campaign for immuno-oncology drug Opdivo thanks the patients and physicians who participated in the therapy’s clinical trial. Marketing executives may find these campaigns — though driven by a desire to change the conversation about an industry struggling to maintain trust among patients and healthcare providers — often encounter resistance when it comes to gaining an internal stamp of approval. "Trust is an important narrative, but there’s not a direct ROI attached," Yazmir says. This is why some companies are focusing on telling a corporate story that has little to do with the brands they market — or their financial communications to Wall Street. "Reputation and trust continue to be the unsung hero," Yazmir adds. "They contribute to the ROI, but in ways that are less quantifiable. That’s the challenge." And who’s to say a more positive view of an industry lacking trust wouldn’t help down the line? At least 12 states have introduced drug-pricing transparency legislation, and lawmakers are talking about doing away with tax write-offs for DTC advertising. Even President Obama weighed in on the pricing controversy. Drugmakers need to do a better job translating the costs of their therapies, industry experts say. For example, the wholesale list price is most commonly cited in media reports, but that price doesn’t take into account routine rebates or discounts. The pricing debate also highlights a broader need to educate consumers about how to pick an insurance plan based on their health demands — including their prescription drug regimen. "What’s not working is not addressing that people care about the affordability of medicines," inVentiv’s Alexander says. "Many leading companies have come to this realization, but they are hesitant to honestly and openly address it."